Shay discusses some of the technical changes to our site in his Traklight Tech Talks blog. In July, he discussed the newest IP Vault enhancements. Today's update is part 2 on recent IP Vault enhancements. Be sure to stay updated with these updates by subscribing to our blog. Welcome back to Traklight Tech Talks! This month we’re highlighting some exciting new features we’ve added to ID your IP to make it an even more robust portrait of your business including intellectual property (IP). We’ve added new questions that are critical for a business to start up and succeed. In order to own your IP and maximize your value, contracts and agreements are critical. With that in mind, we’ve added new questions to our ID your IP questionnaire regarding co-founders, employees, and contractors to help you further identify any IP ownership issues you may have. In today’s climate, it is easier than ever for web designers to create new apps and websites using open source code, pictures, videos, and other materials that are widely distributed for use. But use of that material can create ownership issues later on. We’ve added questions on open source code, and use and planned use of your IP (as well as the IP of others) to illustrate any such potential pitfalls. 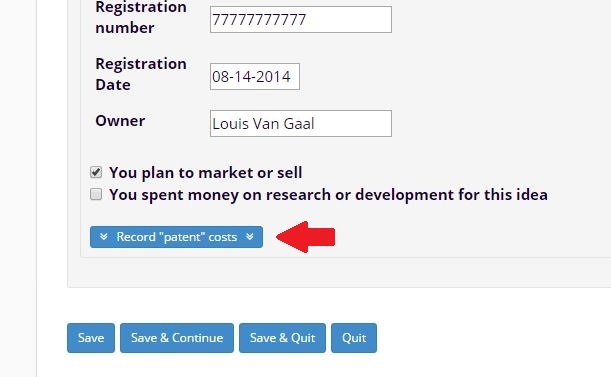 As you identify your patents, trademarks, and copyrights in the questionnaire, you can now document any legal or filing fees as well as research and development costs through a handy tool available just underneath the questions (see examples here and here). For customers who license ID your IP through a branded sub-domain, the IP Strategy report now has the option to include a custom header featuring your logo, giving increased continuity to your clients throughout the experience. Perhaps our most exciting new development is the addition of our new IP Diagnostic report. This report will offer a simple bar chart with registered and potential IP to serve as a quick visual cue for you and your trusted advisors or potential advisors. You’ll also have a chart that identifies a dozen key IP questions from the questionnaire and indicates whether that area is taken care of, needs some attention, or should be addressed immediately. All these features have been added to the new ID your IP questionnaire, as well as existing questionnaires. So if you haven’t updated your report in a while, now is the perfect time to take advantage of these new features. And if you get stuck, we’ve added a live chat feature that allows you to get in touch with us for any questions you may have inside the app. Simply click the Live Chat button on your dashboard. Check back soon, as we’re always trying to make improvements. No one will protect your IP like you will. Start today with our free risk quiz.